On September 22, 2017 Arthur D. Little hosted its annual executive conference in Munich, welcoming more than 50 senior, executives from different industries in Europe, the Middle East, Asia-Pacific, and the US. This year’s major theme was “Data Driven Business Models – The next Gold-rush?” Insightful presentations and lively discussions allowed all participants to gain valuable perspectives on and ideas about the development of promising business models fueled by data. The event concluded at the Munich Oktoberfest, where many guests networked in a relaxing atmosphere. The digital landscape is evolving significantly. The internet of everything and everyone is leading to an exponential rise in the amount of data. By 2021 it is expected that over 30 billion devices will be connected, which includes person-to-person (P2P), machine-to-person (M2P) and machine-to-machine (M2M) communication. 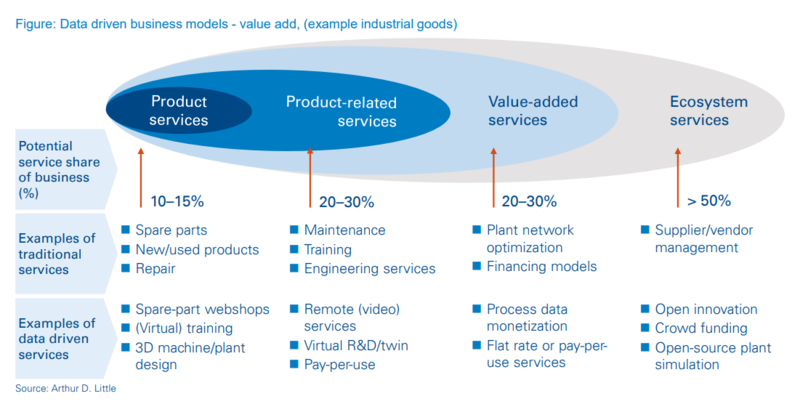 Data driven business models (DDBMs) combine known product services, digital services and ecosystem services. These services have an increasing share of business – over 50 percent for ecosystem services. Examples of those to enhance traditional services include remote services via video or a virtual twin with significant value added through extensive data collection. A virtual twin can be used for further optimizations or for cost reduction in R&D. New ecosystem services include open-source products, such as plant simulation software, which is also an enabler of open innovation. There are countless use cases to collect and use data, such as in autonomous cars, flood sensors and smart metering. This data needs to be evaluated and analyzed according to its criticality in a real-live environment and its complexity. Flood sensors have to work reliably and respond in real time, which is also true of autonomous cars, but the levels of complexity of data collection, processing and analysis are different. Furthermore, data driven business models also have to be assessed regarding their ownership, data collection and liability.